Donate to the Children's Safety Center, We get FREE Money! April 6th is Arkansas Gives Day! 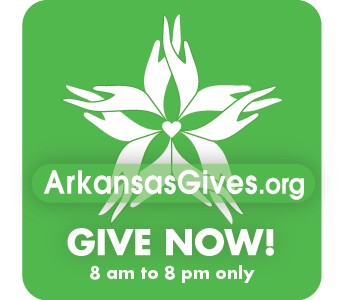 TODAY ONLY from 8:00am to 8:00pm you will have the opportunity to donate to the Children's Safety Center through the Arkansas Community Foundation's Arkansas Gives website. Your donation will increase the chances of the center receiving "Bonus Dollars". As a special incentive to give, each gift made through Arkansas Gives today will be matched with additional bonus dollars; the more you give, the more bonus dollars the Children's Safety Center will receive. You already know about our five FREE programs for child abuse victims: child advocacy, forensic interviewing, sexual assault exams, mental health therapy, child abuse prevention training.